Over the years our team has been coined as the “Property Nerds” because of our love and passion for residential real estate. With local expertise, unparalleled marketing, and personal service we would like to show you the Boyenga difference. We are proud to serve luxury buyers and sellers in Carmel by the Sea, Pebble Beach, Big Sur and beyond. We connect Silicon Valley to Monterey Peninsula! Andrew arrived in the Silicon Valley in 1989 having graduated from Creighton Law School and undergrad at Creighton and the United States Military Academy. Andrew began practicing real estate law at a renowned firm where he represented residential brokerages, agents, borrowers, and owners in a variety of real property claims and litigation. After several years of real estate law litigation Andrew accepted a position as In-House Counsel and Vice-President of All-Cal Title Company, where he directed and coordinated the defense of escrow and title claims including class action claims. Andrew became President of All-Cal Title and negotiated and closed the sale of All-Cal to Alliance Title Company. After a short stint at Century 21 Andrew recognized the enormous potential Internet Technology afforded the real estate industry and founded eHome, raising venture funding in excess of $30 million and growing the residential brokerage company from start-up to a national presence. Including implementing the first residential real estate brokerage to provide on-line MLS integration, back end consumer transaction tracking, and a salaried agent model. Since eHome Andrew returned to his roots as a real estate litigator and title industry where he served as Vice President responsible for Santa Clara and San Mateo County for a fortune 500 title and escrow company. And as a real estate litigator and consumer advocate where he successfully represented borrowers in a class action capacity. Andrew is proud to be at Compass, where he is intent on fulfilling the promises of utilizing technology and real estate expertise to provide a cutting edge level of service to consumers and businesses for their real estate needs. Jennifer is a high-performing real estate professional, who is not only an experienced realtor and loan officer, and but also a skilled negotiator and a real estate paralegal. What sets Jennifer apart is her ability to listen to her clients’ needs and use her in-depth knowledge of the real estate market to negotiate the best deal to exceed the clients’ expectations. With more than two decades of experience working for residential real estate, title, escrow, and foreclosure companies, Jennifer knows exactly what it takes to buy or sell a home. This is one of the reasons why she has been an award-winning Realtor since 2000. When working with clients, Jennifer first learns about what the client wants, then clearly explains the process, sets goals, and works hard to accomplish the best result. While Jennifer has acted as an agent on properties throughout the bay area, as far north as Novato and east to Sacramento, she specializes in South Bay area homes. Jennifer has been a resident of Los Gatos and has managed and been an active agent in offices located in Los Gatos, Willow Glen, and the Evergreen area. A resident of the bay area since birth, Jennifer has been in the real estate industry since 1991 and as a result has experienced multiple real estate cycles and local markets reaction of these cycles. In your transaction you can expect Jennifer to play an active role throughout the transaction. Jennifer has developed a keen sense as to the services and the service providers which will be imperative to a smooth and effective transaction. Having developed long term relationships with these providers (from title, escrow, lenders, contractors, photographers, home stagers, etc), Jennifer is careful to pair the right service provider with the property and the client to insure optimum value and service. Jennifer's thorough knowledge of the local market and her vast connections with other agents, developers, buyers and sellers will insure that our clients get maximum return on their transaction. Jennifer's number one goal is to insure the client reaches their goals in the transaction, understands the role of each provider and demands superior performance from the team and our resources. With a passion to provide exceptional customer service, Megan is here to make the process of buying or selling your home the best experience for you! With a degree in Hospitality, Megan brings a unique perspective to the team when it comes to servicing clients. A native to the Bay Area Megan attended Presentation High School and continued on with her education at San Jose State University. Knowing her energy and enjoyment for serving people, love for creativity, and conscious attention to detail she quickly found that Hospitality was the answer to her career choice. Her decision was solidified when she was chosen at her University to be a manager at the very respected Pebble Beach Pro-Am Tournament. Her knowledge continued to grow as she went on to work for Hilton hotels. The last two years she spent as a Convention Services Manager at the Historic Hilton Fort Worth yet found herself back in her home of San Jose, California. Eager to venture outside her comfort zone of the normal hospitality areas, she was introduced to an ambitious and hardworking couple who had a desire to provide the finest service to their clients. She instantly knew that joining forces with Jennifer and Andrew would create a real estate team that could not be compared to. When working with the Oldham Group she will be available at all times to do whatever it takes to exceed all of your expectations! She finds great pleasure in delivering the highest level of service and you should expect nothing less when choosing the Oldham Group! Selling or buying a home can be a stressful and difficult process. Our goal at Oldham Group, is to make that process the easiest and best experience for you and your family. Ryan joined the Oldham Group to work in the behind-the-scenes to make the transition smooth and simple. Born and raised in Utah, Ryan moved to Santa Cruz to become the system administration and help create a platform that would make buying and selling your property the best experience you can have. Graduating with his bachelor from Utah Valley University in Digital Media; Ryan has been working in the digital media field for 10+ years. He has worked for several small businesses, helping them grow their online presence via website and social media. While in school, Ryan founded and created a creative agency that helps companies with their backend systems. In his free time, Ryan is an avid outdoorsman, family man, photographer and designer. Sri Shankar moved to the Monterey Peninsula in 2003, and almost instantly connected with the beauty and energy of the area. Growing up in India, Sri was deeply influenced by her family business in Real Estate and Hospitality, and naturally fell in love with homes and design. This led her to managing the business operations for premier Architecture and Interior Design firms in Carmel, CA, and completing a degree in Interior Design. Her breadth of experience has made her a well rounded person in communication and task management. 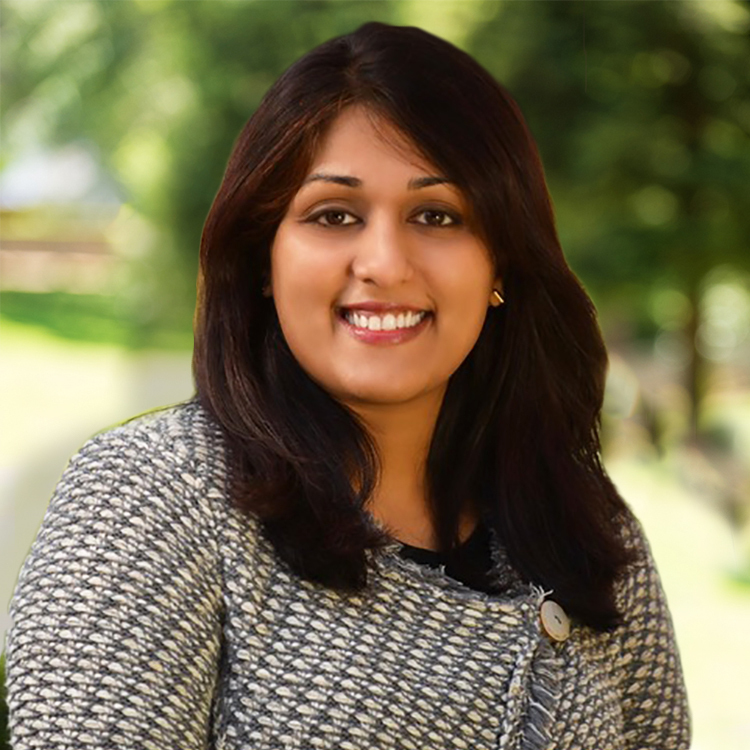 As a Realtor, Sri loves her career and works on helping her clients through the buying and selling process. Her philosophy is simple - ‘Clients are my number one priority’. Sri intently listens to her clients to identify their specific needs, and works unbiased to make it a smooth and positive experience for all. She resides in Carmel and serves areas including Pebble Beach, Pacific Grove, Monterey, Carmel Highlands, Carmel Valley. In her free time, she enjoys doing yoga, being a homemaker, and spending time with her daughter and husband. When you are thinking of buying or selling property along the Peninsula or Silicon Valley, Brandon Stovall is the one to see. Brandon has lived in the Bay Area his entire life and has a wealth of knowledge about this special place, he is a true California Native Son. Whether you would like your nearest neighbors to be deer in Portola Valley or you’d prefer strolling the shady trees of Palo Alto, Brandon knows this place and can introduce you to the Peninsula/Silicon Valley Lifestyle. Perhaps you’d like dining al fresco at great restaurants like Town in San Carlos or touring the beautiful parks in the Open Space Preserves, Brandon is available and prides himself on his knowledge of The Peninsula/Valley and those places that will make you fall in love with it too. Brandon Stovall has a true passion for helping his clients get the results that they want and need by developing genuine relationships that last long after the close of escrow. He has a deep and personal knowledge of this area having grown up here. He has been trained in negotiation strategies and carefully tracks market trends in order to provide his clients the information they need to make solid decisions. Brandon has partnered with Compass to provide state of the art technology and ongoing support for this clients. Together they provide you with local traditions and global connections. Give Brandon a call today. Rod Teague is a proud native to the Bay Area and brings 15 years of Real Estate experience to each transaction. He has experience as a start-up co-founder (eHome) where he served as Director of Business Development for Residential Lending Services and with Bank of America's Wholesale Real Estate Loan Division. Knowing the intricacies of the Silicon Valley, buyer placement and community compatibility are paramount. "Whether Seller or Buyer, my client comes first and ultimately their happiness is my goal". As a member of the Oldham Ward Group, Sellers and Buyers can be assured they are supported by unmatched wealth of knowledge. Rod is closely tied in with his community of Los Gatos and enjoys spending time understanding the complex issues of urbanization within the region. He is founder of the "Town Not City" a FB community which provides residents with vital information about controversial development. He also enjoys meeting with various groups to discuss strategies to keep the Town of Los Gatos vital and attractive to all.